The Supreme Court has ordered that all cinema halls across India play the national anthem and that those present “stand up in respect” to instill committed patriotism. The order will prove incredibly difficult to implement as the experience from the 1960s shows. Legal experts think the apex court might have ‘overreached’ in issuing this order. Knappily analyzes the order and explores the difference between showing patriotism and being patriotic. What has the Supreme Court ordered? 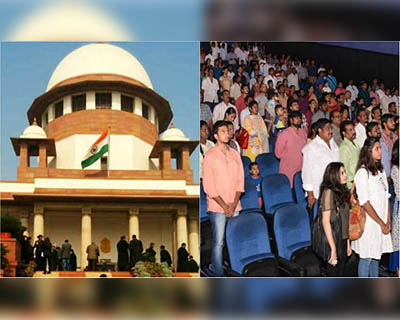 The national anthem must be played in all cinema halls across the country before a film is screened and everyone present must stand to pay respect to it, the Supreme Court (SC) ordered on Wednesday. 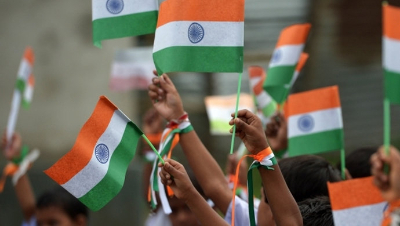 A bench of justices Dipak Misra and Amitava Roy said that citizen should take pride in national anthem and they should be taught how to sing national anthem. "People now-a-days don't know how to sing national anthem and people must be taught. We must respect national anthem," the top court said. Further, the SC said the national anthem must not be played on entertainment TV shows as it cannot be commercially exploited. There should not be any dramatization while singing and playing the national anthem nor should it be used in an abridged form. The anthem cannot be printed on an "undesirable place". 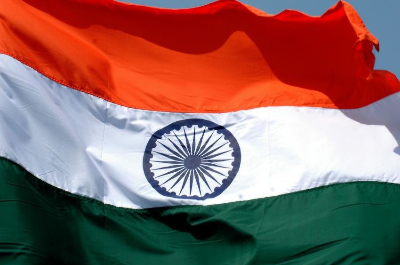 Acting on a writ petition under Article 32 of the Constitution of India by 77-year old Shyam Narayan Chouksey, who runs an NGO in Bhopal, the court said that when the Anthem is played in movie halls, it should be accompanied with images of the national flag on screen and people must stand up. It however clarified that the disabled would be exempt. The Centre and states have been given 10 days to implement the court's order. 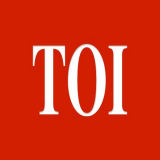 The Centre said it will circulate the order to all states' chief secretaries and will also publish it in the electronic and print media. This is not the first time Supreme Court judge Justice Dipak Misra has delivered an order banning commercial exploitation of the national anthem. While heading a bench in the Madhya Pradesh High Court, he had banned screening of Karan Johar's blockbuster 'Kabhi Khushi Kabhi Gham' before the Supreme Court set aside the verdict. "The boy sings one part and the mother sings the rest, may be the last five words... But the fact remains that the boy says 'sorry' in the midst of the anthem and mother after some time completes the same. All this has been done to create a dramatic impact in the picture for the benefit of the producer. This should not be allowed to be done for the popularisation of the national anthem as has been understood in this great country," Justice Misra had said. He also took note of the fact that the audience did not stand up when the national anthem was sung in the movie. A three-judge bench headed by the then Chief Justice of India V N Khare set aside the order after the Centre contended that audience does not need to stand up when the singing of national anthem is depicted in a film. Why does the SC want the anthem before the movies? The court said that it has issued these directions as it believes that love and respect for the motherland is reflected when one shows respect to the National Anthem as well as to the National Flag. It added that it would instill “a sense of committed nationalism and patriotism”. Referring to the Fundamental Duties under Article 51, the SC said it was an obligation on the part of the citizen “to abide by the Constitution and respect its ideals and institutions, the National Flag and the National Anthem” as stated in Article 51(A). “A time has come, the citizens of the country must realize that they live in a nation and are duty bound to show respect to National Anthem which is the symbol of the Constitutional Patriotism and inherent national quality. It does not allow any different notion or the perception of individual rights, that have individually thought of have no space. The idea is constitutionally impermissible,” the court said and noted that at the root of the guidelines is national identity, integrity and constitutional patriotism. In issuing this order, the apex court has reversed its earlier stance of not forcing people to sing or stand to the anthem so long as they are not disrespecting it. Since when has this been a contentious issue? The national anthem was last ordered to be played in cinemas in India after the country’s 1962 war with China but the practice was discontinued in 1975 after most moviegoers ignored it. There is no uniform law in India regarding the anthem and the 29 states have had their own laws on the issue. In 2003, the western state of Maharashtra made it compulsory for cinemas in the state to play the anthem, but in 2015, the Madras High Court ruled against such a move in Tamil Nadu state. The court was responding to the home ministry's directive to all states that standing would interrupt the film screening and "create disorder and confusion rather than add to the dignity of the anthem." Insofar as indiscriminate singing and playing of the anthem was concerned, the communication, issued pursuant to an order passed by the Calcutta High Court in 2014, stated that it was left to the good sense of the people who were expected to desist from such activities. Where did national anthem generate controversy in this context? 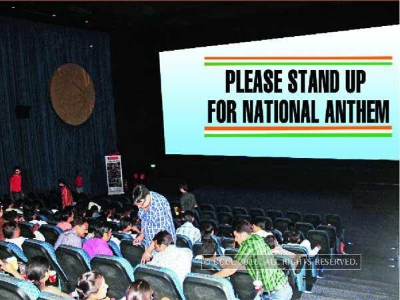 Where states do not mandate cinema halls to play the national anthem before screening of films, the owners have been in a fix over issues beyond their jurisdiction. For instance, many cinemas in Delhi were not clear before this order on whether they can play the national anthem before every movie or not.And most chose not to play to avoid confusion. Devang Sampat, head of strategy , Business, Cinepolis, expressed this confusion, "According to the 2003 order of the Maharashtra Government, it was made mandatory for cinemas to play the anthem before every film, which made the audience take notice and stand up. But we don't play it in Delhi or NCR cinemas because it's not mandatory and there is no clarity over whether cinemas here can play the anthem before every movie, or if there are rules and regulations that need to be followed." Section 3 of the Prevention of Insults to National Honour Act states that causing disturbance during the playing of the anthem, or preventing the singing of the anthem, is punishable by imprisonment and/or a fine. Many officials have issued notifications to cinemas under their jurisdiction to discontinue playing it in theatres as it violated the rules of singing and playing of national anthem. However, nowhere in the law is it mentioned that refusing to stand is a crime. And yet, there has been confusion of whether it is mandatory to stand due to Home Ministry’s contrasting statements. While in its communication in 2015, forwarded to Chief Secretaries of all State governments and Union Territories, it stated that standing in cinema halls was bound to interrupt the exhibition of the film and would create disorder and confusion rather than add to the dignity of the anthem, the Ministry of Home Affairs' orders states that, "Whenever the anthem is sung or played, the audience shall stand to attention." However, it makes no mention of any penalty for failure to comply and serves as an advisory role.It is still unclear, even after the SC order, what happens if someone refuses to stand. This may lead to vigilante attacks on the one who does not stand, as past experience has shown. The owners of cinema halls tell that if the practice is started again, it will again lead to chaos and confusion. Remembering an incident, a multiplex staff in South Delhi, said, "When Kabhi Khushi Kabhi Gham was released, there used to be chaos when the actors would sing the national anthem in the movie. Some people would stand up, some won't, and others would look confused." While it is completely wrong to disrespect the national emblem, flag or anthem, it has so far been considered wrong to force people to ‘respect’ them. These bouts of patriotism have in the past caused serious problems. 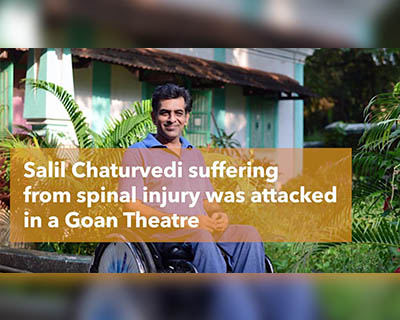 In October 2016, writer and disability rights activist Salil Chaturvedi, who is wheelchair bound, was assaulted for not standing up during the national anthem in a theatre in Goa. In 2015, former Bigg Boss contestant Kushal Tandon accused actress Ameesha Patel of not standing up to show respect to the national anthem when it was being played before a movie screening. The actress responded on Twitter by explaining that she was menstruating and if Tandon had that big an issue with it, he should have confronted her there itself. In 2013, television’s Duryodhan, Puneet Issar, and his wife Deepali Issar assaulted a man in a Mumbai theatre for not rising during the national anthem. When the man clarified that he wasn’t Indian and was thus, unaware of the law, the couple threatened to hand him over to the cops. These are just the more prominent cases. In reality, there are several other incidents of assault and harassment in the name of patriotism, especially when it comes to the playing of the national anthem in movie theatres. 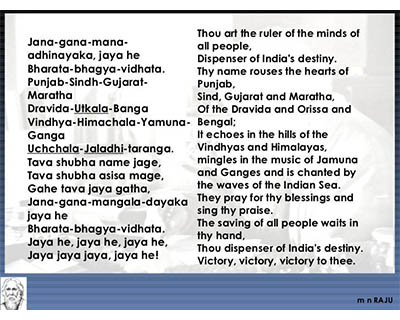 Who have challenged the very basis of India's anthem? India’s national anthem “Jana Gana Mana Adhinayaka” was composed by Rabindranath Tagore on 11 December 1911 and was first sung later in the month on 28th December at the Calcutta session of Congress. “Jana Gana Mana” was formally adopted as India’s national anthem in 1950. “Jana Gana Mana Adhinayaka,” which was loosely translated as “the leader of people’s minds” by Amartya Sen was alleged to have been composed for a durbar in Delhi where George V was proclaimed Emperor of India. This controversy has refused to die. For instance, in 2015, Kalyan Singh, Governor of Rajasthan, and former Supreme Court judge Markandey Katju raised the issue again. An essay by Soutik Biswas cites the work of historian Sabyasachi Bhattacharya to refute the allegation. How can we define true patriotism? Let us first understand what patriotism is not. Patriotism is not the love of the landscape of one’s country. Almost every country has pretty collections of rocks, water, and things that people grow and eat. Surely, patriotism cannot mean giving one’s life for a river or a mountain range. Patriotism is also not blind trust in anything our leaders tell us or do. That just replaces some lofty concepts with mindless surrender. Patriotism is not simply showing up to vote. You need to know a lot more about what motivates a voter before you judge her patriotism. She might be casting a ballot because she just wants something at someone else’s expense. Waving the flag is just an outward sign of patriotism, but it’s anything more than a sign. Patriotism surely is deeper than any symbol. Patriotism is rooted in ideas that in turn gave birth to a country. 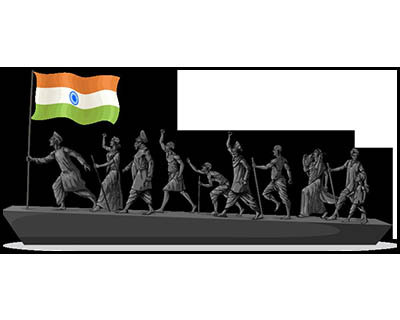 It’s the ideas that one should think of when feeling patriotic.Be a patriotic Indian because you revere the ideas that motivated the freedom fighters and compelled them, in many instances, to put their lives, fortunes, and sacred honor on the line. What ideas did they have of an Independent India Read the Preamble of the Constitution that contains the objectives of creating the nation; freedom from British was just one step in that direction. Every citizen must be treated EQUALLY and be given equal opportunity. Every citizen is endowed, not by government but by the Founders of this country, with LIBERTY of thought, expression, belief, faith and worship. India must be a Democratic Republic, where Government must be limited to protecting peace and preserving liberties, and doing so through the consent of the governed. This is what the leaders of Indian Independence Movement fought for till they finally achieved independence 69 years ago. Call it freedom. Call it liberty. Call it independence. Or call it Patriotism. It makes life worth living, which means it’s worth fighting and dying for. Freedom – understanding it, living it, teaching it, and supporting those who are educating others about its principles - this is what patriotism should mean to each of us today.